Is this insecticide non repellent ? Can it be applied to luggage? Fenvastar is a synthetic pyrethroid insecticide known as Esfenvalerate. This chemical is also known as Conquer. 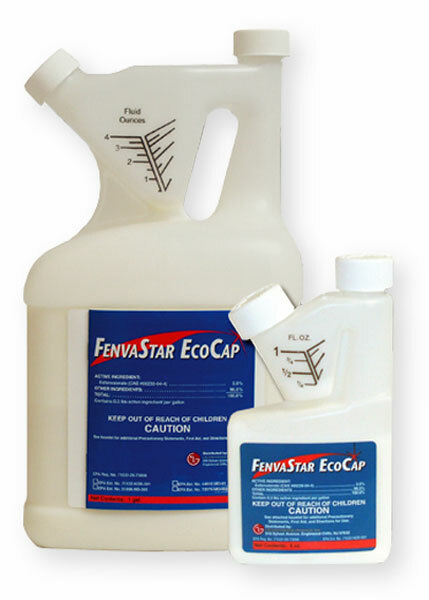 Fenvastar is a microencapsulated version that should give a much longer residual than a traditional emulsifiable concentrate. All synthetic pyrethroids are very repellent to insects, as are all natural pyrethrins. I personally would not spray luggage with any insecticide. Fenvastar does not state that is can be used on luggage either, although the use in cracks and crevices would probably be ok. I would recommend to inspect and vacuum the entire luggage piece and also remove as much of the lining as possible to check for live bed bugs. If you find any in the luggage, vacuum them up, and then consider not using it for a while. Placing luggage in the attic during the summer months will help to kill them.